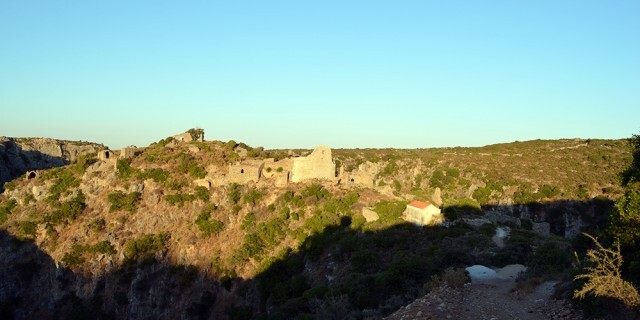 Paleochora, known also as Agios Dimitrios, with its 13th century buildings, was the island’s Byzantine capital and is located in the northernmost part of a steep cliff set in the middle of the canyon. There, islanders had found shelter from pirates. Such is the position of the castle, that is not visible neither by land nor from the sea. in 1537, pirate Barbarossa killed 7000 people. He disembarked in Kakia Lagada gorge, climbed the rocks and occupied the city. Nowadays the whole area has a wild, somewhat uncanny attractiveness. On the walls of some of the ruins there are marvellous frescoes too. Don’t miss out on a visit here!